I was raised in Southwest, Missouri in the small town of Ash Grove. I have always had a passion for the outdoors and enjoy kayaking, fishing, hunting, off-roading, and training my Chesapeake Bay Retriever. I grew up with an admiration for land and water, always finding an excuse to get outside and explore. I graduated with an Organization and Strategic Communication degree at SBU, with a minor in Photography and Graphic Design. Faith is the centerpiece of my life, and I have found that the most genuine way to experience God’s greatness is to appreciate the land He has created. 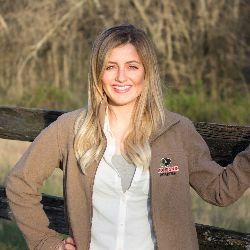 My goal is to help people find the property they need, whether it’s a forever home, a place to hunt, or a piece of land to raise cattle or crops. Whether you’re buying or selling, I would love to be a part of your journey.